The American dream is currently out of reach for too many of our families. Under President Trump’s budget policies- The New Foundation for American Greatness- the economy will boom, incomes will rise, and job opportunities will expand for all American citizens. This budget ensures the safety and security of our people will be the number one priority, with the military being rebuilt and border secured. Our nation’s spending will be balanced, government streamlined by reducing waste, and the national debt reduced as a percent of GDP. The economy will grow again, as it should, with the most productive workforce in the world. The interests of American workers and job creators will come first and a new approach taken to support the workforce. 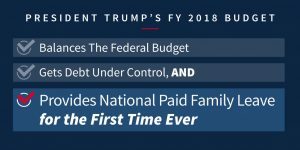 The budget will be balanced in a decade by cutting spending by $3.6 trillion dollars, the largest spending cut ever proposed in the history of any President. Obamacare will be repealed and replaced, the tax code simplified, and tax relief provided for hardworking American families. The budget also supports the President’s goal of investing $1 trillion in infrastructure through a combination of new Federal funding, incentivized non-Federal funding, and expedited projects, such as, the Keystone XL Pipeline. Medicaid will be reformed by slowing the program’s growth, empowering states to innovate and prioritize Medicaid dollars to the most vulnerable citizens, and encouraging individuals to return to the workforce. By improving payment accuracy and tightening administrative controls, improper payments throughout the government will be reduced by one half. Foreign aid spending will be redirected by reducing or ending direct funding for international programs whose missions do not substantially advance United States foreign policy interests. President Trump’s budget will also begin to rebuild our badly depleted military. The Department of Defense has been budgeted $639 billion, reversing the disastrous defense sequester. The military will then have the resources necessary to conduct ongoing operations, deter potential adversaries, and protect the security of the United States. Reforms are also being implemented to reduce the costs of military programs where feasible, without reducing effectiveness or efficiency. The budget will continue the Administration’s historic effort to secure the border with a budget of $44.1 billion for DHS and $27.7 billion for DOJ, including critical law enforcement, public safety and immigration enforcement programs and activities. A partial breakdown of this budgeted allowance includes an investment of $2.6 billion for Customs and Border Protection to deploy high-priority tactical infrastructure and border security technology, including funding to plan, design, and construct a physical wall along the southern border of the United States. More than $300 million will be used to recruit, hire, and train 500 new Border Patrol Agents and 1,000 new Immigration and Customs Enforcement (ICE) personnel to strengthen our border security. With an additional $1.5 billion, the budget will enhance ICE’S ability to enforce our immigration laws by expanding detention, transportation, and removal of illegal immigrants. Critical resources will be provided to DOJ to confront terrorism, reduce violent crime, tackle the nation’s opioid epidemic, and illegal immigration, as well. The budget also supports the President’s focus on cybersecurity to ensure strong programs and technology to defend the federal networks we operate. Giving support to American families, especially their children, and providing student loan debt relief is a number one priority in President Trump’s budget policies. He proposes six weeks of paid family leave to new mothers and fathers, including adoptive parents, so all families can afford to take time to recover from childbirth and bond with a new child. It also allows states to establish paid parental leave programs most appropriate for their workforce and economy, building on the Unemployment Insurance System as a base. To give debt relief to college students on student loans, President Trump plans to consolidate multiple Income Driven Repayment (IDR) plans into a single plan that caps monthly payments at 12.5 percent of discretionary income and forgives any balance for undergraduate borrowers after 15 years. And, it also supports Year-Round Pell to give students the incentive to complete their degrees faster, which will, in turn, reduce their loan debt and enter the workforce sooner. America has the most productive workforce in the world and President Trump’s budget policies will provide a means to achieve the American dream and solidify America’s greatness. 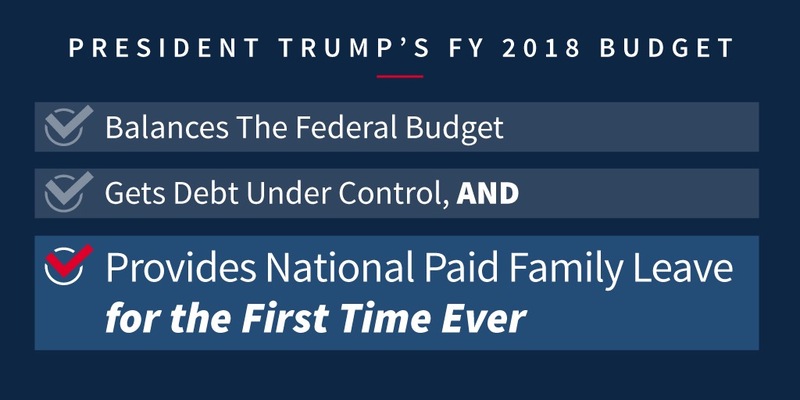 His budget plan, The New Foundation for American Greatness, will result in an economic boom, cause incomes to rise, and job opportunities expand for all American citizens. 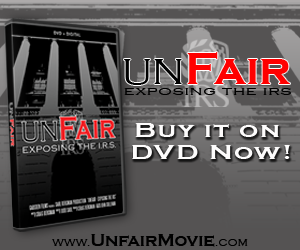 As Chris Edwards, director of tax policy studies at the Cato Institute and editor of Downsizing Government, expressed to the Washington Examiner, “This is the most fiscally conservative budget since Reagan”.